I wanted spider webs for the Halloween quilt but did not have the pantograph file so I thought I would use what I had. 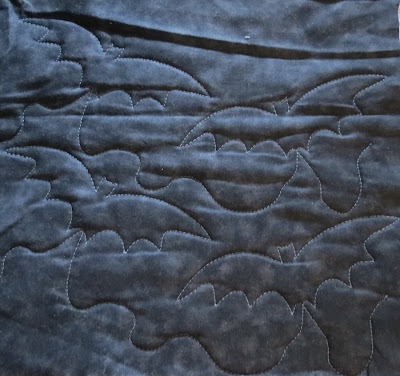 I had a bat design that would also work well with the quilt. So, at the top of the newly loaded backing, I tested out some designs. I threw some pink scraps onto the layout and tested away. Since I really could not see the design on the pink, I placed black scraps over the pink and then redid the designs. 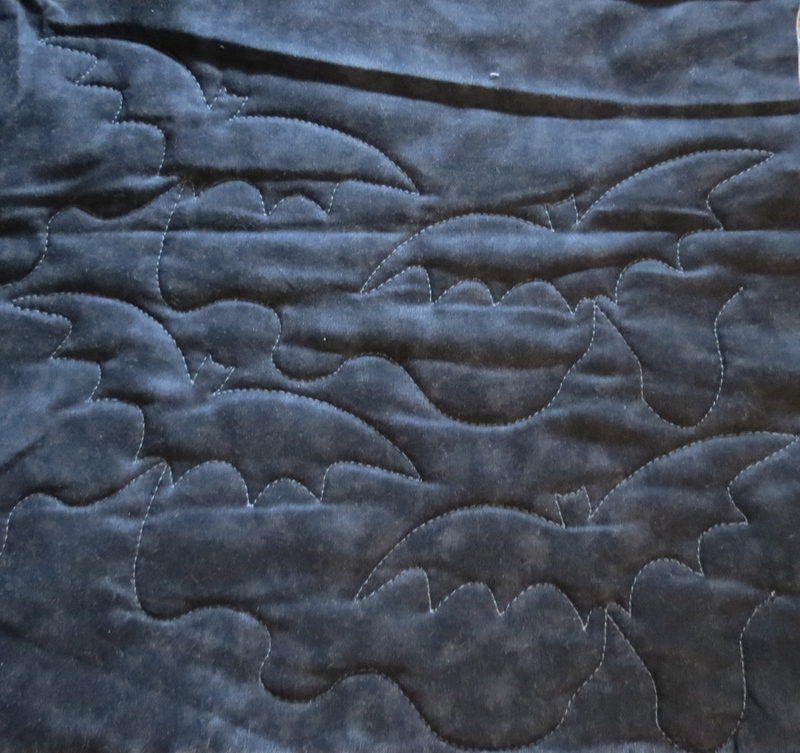 Of course, I did not iron those black scraps so it looks a little wrinkled. Then I decided I really wanted spiderwebs. So, I purchased the pantograph design from QuiltRecipes. I tested that out as well. It was a larger 8" design and it did a lot of repeats on the webs, retracing to get from point a to point b. I was not sure that I liked that. Here's just a cutout from the stitch out of the spiderwebs. So, I loaded up the quilt and away I started. 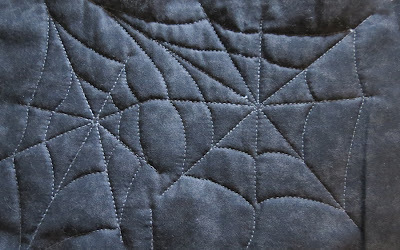 I ended up returning to the "Plain Spider Webs 1" panto that I purchased from QuiltRecipes. I liked that you also received a reverse design so all the random spiderwebs did not line up between the rows. Based on the first row, I'm glad I returned to the purchased pantograph. A couple more rows and then I'll be finished! 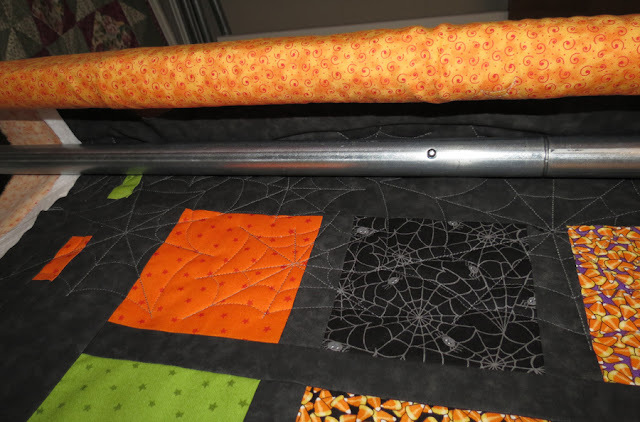 Then on to the extra Halloween table runner or bed runner. I think I might make it before Halloween!